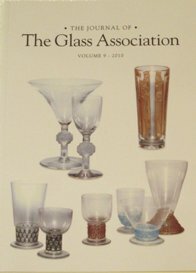 There are articles on varied glass-related subjects such as museum collections, the history & identification of glass, specific manufacturer's products & techniques in the formation and decoration of glass collector’s items. 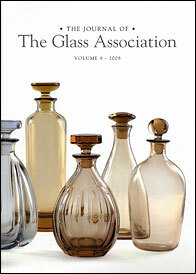 Signed in members of the Glass Association can read past issues of the Glass Cone here. Whitefriars Cloudy White Lattice Glass by Brian Clarke, inspired by an exhibition of Whitefriars Glass exhibited at The Cambridge Glass Fair. See also the Cloudy White Lattice image gallery. Goblets Galore discusses an exhibition of outstanding 17th and 18th Century drinking glasses. 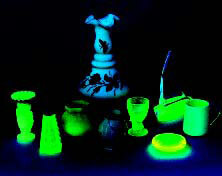 See also the English Glasses gallery and Goblets gallery. Thomas Webb and the Rembrandt Guild is about the identification of glass that was manufactured by Thomas Webb as a commission for The Rembrandt Guild. The Cameo Glass of Thomas and George Woodall provides an introduction to the cameo glass of Thomas & George Woodall. The Journal is an outlet for recent scholarly research and contains articles on a wide range of glass related subjects, with emphasis on glass from the 18th, 19th and 20th centuries. The Journal is published every three years, or whenever there are sufficient glass articles of quality available. This publication is printed on glossy paper and is illustrated with various photographs and diagrams. Articles have been written by curators, lecturers and members who have become experts in their particular field. 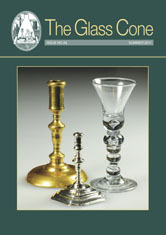 Previous & current issues of The Glass Cone and The Journal are available for sale. Discounts are available to members.